The vast region of North America between the Mississippi River and Pacific Ocean has been a site of many migrations, conflicts, political transformations, and environmental changes. This course examines dynamic histories of Native American tribes, Euro-American "explorers" and colonists, cowboys and miners, Asian immigrant laborers, and mariners, all of whom helped create interior and oceanic worlds. It focuses on natural and human changes in specific locales, and also explores how public histories at these places shape the present and future. 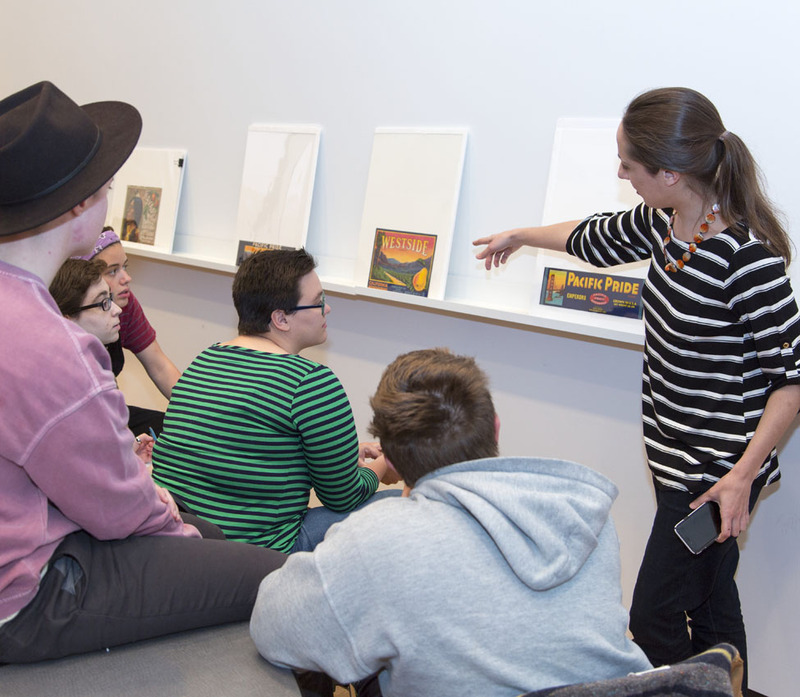 Professor DeLucia worked with Museum educators in advance to plan seven Museum visits to take place over the course of the semester. For each visit, objects were carefully chosen around curricular themes—such as westward migrations, sacred landscapes, agricultural innovation and labor, and visual cultures of the west. 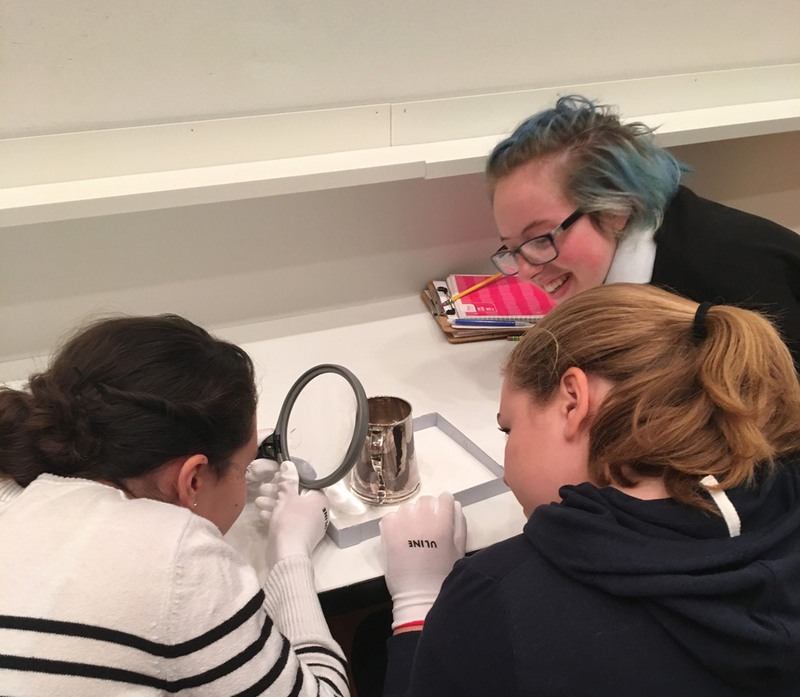 Museum staff helped facilitate special sessions, including close-looking activities, and a workshop on Native American objects led by the Museum's NAGPRA coordinator. Students also developed original object-centered research essays that allowed them to delve more deeply into specific items and their histories. View the thematic list of objects initially selected by Professor DeLucia and Museum staff for consideration.